Use PayPal's "BILL ME LATER", available at check-out! I've sold on the "other" site for several years, and am so very happy to be moving here! You can find me there again, as catkeeper6. Customer satisfaction is my top priority! And communication is key to achieving that - so please feel free to b-mail me any questions you may have. Listings: Jewelry and Loose gemstones are photographed with and without the camera flash. Natural sunlight may be used to photograph Color Change gemstones. They are photographed using Macro and Super Macro Zoom. 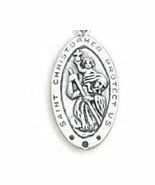 All Jewelry Items offered are new, unless specified in the listing. Gemstones are handset into Sterling or Gold settings after being tested on a refractometer to verify the identity of the stone. Beautiful jewelry! A pleasure to work with you. Nice to meet you! Great shop. 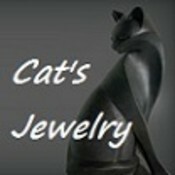 I loved working with CatsJewelryGems! She is one of the nicest and most professional Women! Of course her Gems are gorgeous and her Booth Amazing! Such a pleasure to have her here on Bonanza!!! Lovely seller with wonderful items at a great price, stop by and check out the great deals! A Really Sweet, Generous & Helpful Lady!! Thanks Much!! A Perfect Example of what makes Bonanza such a Wonderful place!! If you love sterling silver or solid gold gemstone jewelry then you should definitely give this ladies booth a look! There are truly some stunning eye popping pieces!